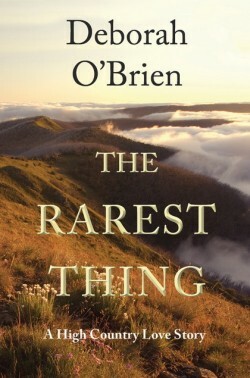 An article about mountain pygmy possums was the inspiration behind Deborah O’Brien’s latest novel, The Rarest Thing. Following a successful signing of her new book at Miss Ruby’s Bookshop on 26 November, Deborah spoke to me about the novel, pygmy possums and the search for identity. The tiny mountain pygmy possum was assumed to be extinct until 1966, when one was found inside the Melbourne University Ski Club lodge in the Victorian high country. As it happened, one of the skiers in residence at the lodge was a scientist, who took the tiny animal back to Melbourne where it was identified as the erstwhile presumed-extinct Burramys parvus. There was no sign of another one and the animal taken to Melbourne duly earned himself an entry in the Guinness Book of Records as “the rarest animal in the world”. 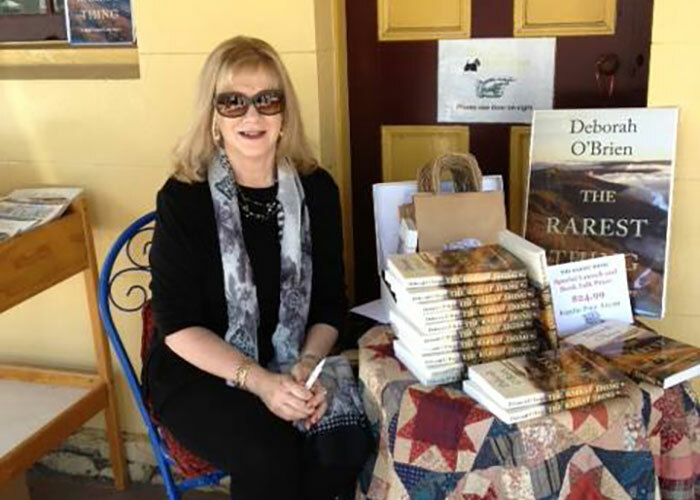 Deborah O’Brien has a personal link to the Victorian high country and this, coupled with the intriguing story of the “rarest animal in the world”, became the foundation of her fifth novel, The Rarest Thing. The story, set in 1966, follows the journeys of paleontologist, Katharine Wynter, and wildlife photographer, Scott King, who are both searching for the elusive little alpine critter: the former in order to study the living animal previously only known in fossilised form, and the latter to photograph it for an international nature journal. The two characters inevitably come together in their quests, but they both have complex pasts that must be confronted. Deborah O’Brien’s four previous novels all deal, in various ways, with the theme of outsiders finding their place in the world. Her first two novels, Mr Chen’s Emporium and its sequel, The Jade Widow, deal with, respectively, race and gender in establishing identity in late 18th century rural Australia. Her third novel, A Place of Her Own, which is a sequel to the first two but also a standalone novel, looks at a woman finding her own direction after personal tragedy. The Trivia Man finds a man with Asperger’s syndrome cautiously (and sometimes hilariously) entering into a personal relationship with a middle-aged teacher with her own troubled background. The Rarest Thing also takes up the theme of outsiders finding their way in the world. Deborah describes it as a ‘journey’ novel; a book about a quest. It is a quest not only for an elusive animal, but for truth. The Rarest Thing is available as a signed gift edition paperback from www.lomandrapress.com.au and as an ebook from Kobo. It will be available at Miss Ruby’s Bookshop after 4 December.